Slide with the snowmobile trought winter landscapes. Plenty of fun and action guaranteed! Scooter safari, snowscooter, snowmobile, sledging, ski-doo – there are many descriptions for it but the goal is always the same namely to glide through the winter landscape with a snowmobile. For you this involves fun and adventure but for the locals in the far north this often represents the only means of transport to their remote homes in the winter. You, however, don’t have to travel all the way to Lapland to be able to enjoy the ultimate in snow fun and can indulge in “flying” over the pistes with the power of a snowmobile also in Switzerland! 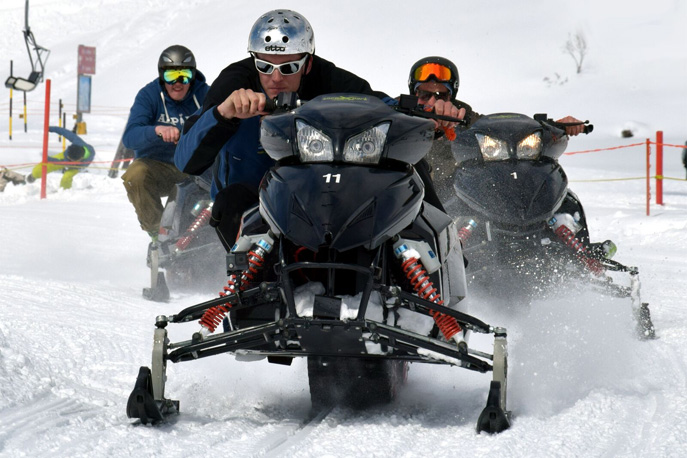 Experienced guides will introduce you to the secrets of snowmobiling. The snowmobile has two steering runners and a wide track which enable easy and stable driving. It can manage all snow conditions and can, therefore, be used at all times. 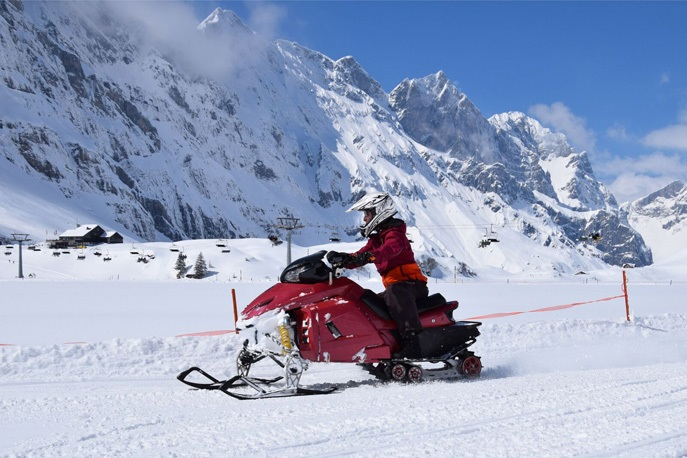 You can enjoy this very popular motorsport in the winter on mount Titlis (Trübsee) in Engelberg (8 vehicles). The Snowmobile Park is a new and environmentally friendly winter attraction which is unique worldwide. 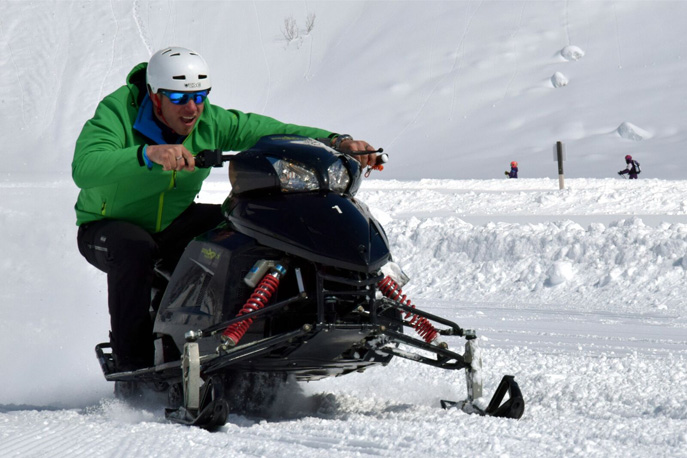 With their electric drive, the snowmobiles don’t create any CO2 emissions and there is no risk of petrol or engine oil leaking. What’s more, thanks to their minimal sound, they also don’t disturb the animals in the forest. Use of park with 5-8 vehicles (depending on group size), instructions and supervision, mountain/valley ride, use of helmets. Enjoy fun and action on the prepared obstacle course. No experience is required and you will be given safety and riding tips. Helmets provided. This event can be booked as a single person too. Winter clothing, gloves and sturdy shoes. Helmet will be provided or own ski helmet.